• 5100 Block of South California on April 10, 2015 at 12:30 AM. • 5300 Block of South Mozart on April 25, 2015 at 11:30 PM. This alert addresses street Robberies that have occurred in the 014th District. There have been two robberies in the area of Milwaukee/Division/Ashland, in which two offenders display a handgun or knife and take the victim’s money. 1200 block of N. Bosworth on April 12, 2015 at 4:30 am. 1200 block of N. Ashland on April 26, 2015 at 12:45 am. Both offenders are described as being male black, 35 – 40 years of age, approximately 6’02” tall and weighing 250 lbs. 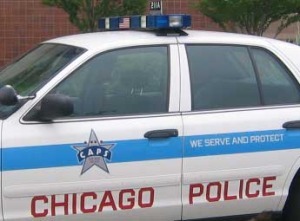 The Chicago Police Department will be conducting a DUI Strike Force Patrol in the Calumet (5th) District this weekend. The DUI Strike Force Patrol will commence at 7:00 p.m. on Saturday, May 2nd, 2015 and end at 3:00 a.m. on Sunday, May 3rd, 2015. 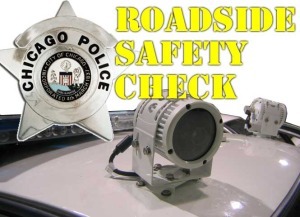 The Chicago Police Department will conduct a Roadside Safety Check in the Englewood (7th) District at 6401 S. Ashland Ave. The Roadside Safety Check will commence at 7:00 p.m. on Friday, May 1st, 2015 and end at 3:00 a.m. on Saturday, May 2nd, 2015. This alert gives notice to citizens residing in the 008th District of an armed robbery incident which occurred during the month of April. In this incident, the pictured male offender, after ordering a pizza, jumped over the counter, displayed a kitchen knife and removed cash from the register. 7900 Block of S. Cicero Ave. on April 19th, 2015 at approx. 1:00pm. Male black, mid 20’s, 5’10”-6’0” approx. 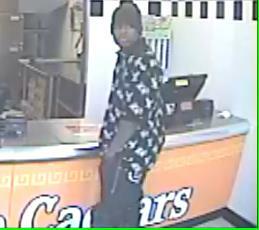 180-200 lbs., wearing a black skull cap, black and white patterned jacket and dark jeans. Area North Detectives are for assistance from the public to help identify the above subject. He is wanted in connection with burglaries from several condo buildings. Once the suspect gained access to the building and/or parking garage, he would burglaries vehicles and take other items that include mail, and bicycles. There are 15 separate victims involving RD# HY-187630. He is observed using some kind of pry tool to enter through the lobby doors. The suspect has also been seen with a shopping cart during these incidents. 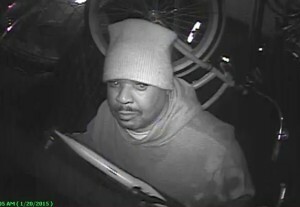 The subject can be described as a heavy set male black with a bald head and a mustache and has been seen wearing a hoody. This alert gives notice to citizens and taxi drivers operating in the 1st District of robbery incidents that have occurred during the month of April. In these incidents, a male, black, 20-25 year old offender wearing a dark hat, sunglasses, black jacket with white lettering and black pants is getting cab rides to locations near CTA entrances. As the offender prepares to exit the cab, he displays a black pistol and demands money or cell phones. Offender is believed to have fled on foot to train entrances to make good his escape. Robberies have occurred where the offender solicits a ride and then robs the driver at knifepoint after reaching the requested location. 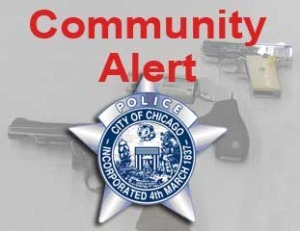 This alert gives notice to citizens in the 008th District (Chicago Lawn) of robbery incidents which have occurred during the month of April. In these incidents, two offenders approach the victims and demand/forcibly remove their property. 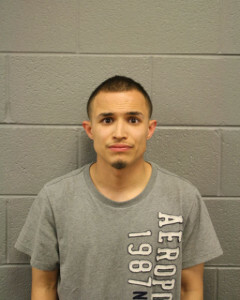 27 Apr 15 Charges for Ochoa, Erick _Fatal Traffic Crash_Ochoa was arrested and charged in connection to a fatal traffic crash that killed a three year-old male. The incident occurred on the 3900 block of W. 47th St. on July 20, 2013 at approximately 10:20 p.m. The victim ran onto the street from between two parked cars and was struck by Ochoa. The victim was transported to Christ where he was later pronounced. Ochoa was cited for the accident and it was later determined through the course of the investigation that Ochoa was under the influence of a controlled substance. An investigative alert was issued and Ochoa was stopped on a traffic violation on April 26, 2015 and charged accordingly. No further information is available at this time.